The idyllic English countryside, gentle rolling hills, lush green grass, a great British picnic of heavenly delights with serene and peaceful retreat. In reality, a pre-packaged sandwich and bag of crisps from the Spar shop, lying on the dog blanket from the boot of the car while it chucks it down and dog tries to nick your food. 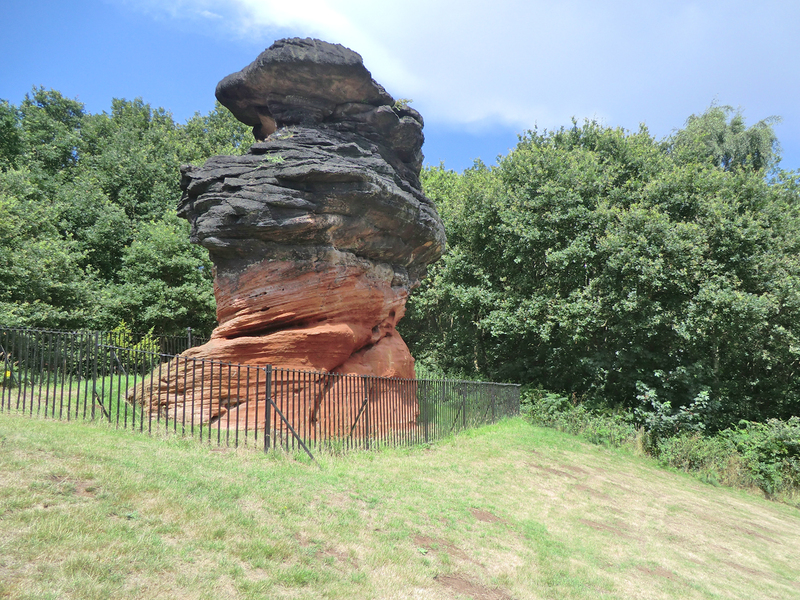 But at least its got a view, the Hemlock stone at Stapleford Hill. I don’t quite believe the myth it was thrown there by a giant or that the devil tried to throw this big rock at Lenton priory but missed. Quite what the Druids and Celts got up to there is their own business. More likely this was caused by the erosion of sandstone. It is also featured in DH Lawrence’s Sons and Lovers where Paul Morel organises a walk.